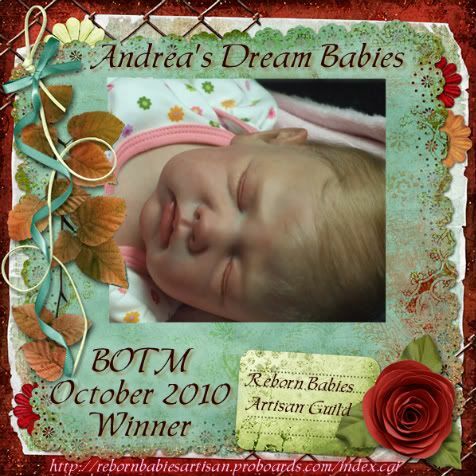 Hi, I'm Andrea Donaldson, the reborn artist at Andrea's Dream Babies. My nursery (home) is located in a small town in Central Washington. I have always loved babies, and have found reborning to be a great way to express this. I am a Christian, and I give God all the glory for the talent he has given me. 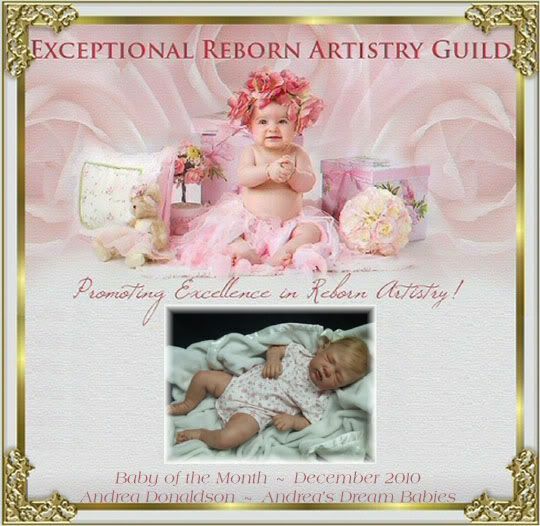 I have been reborning since June 2008, with plans to reborn for a good long while longer. 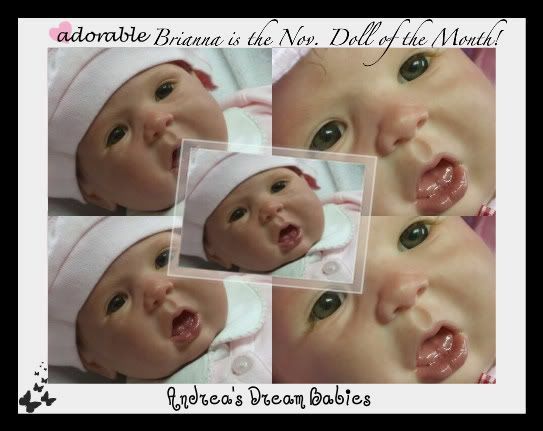 My Arianna was featured in the March/April issue of Lifelike Dolls Mag.